Special Programming Celebrating the LGBTQ+ community! CJSF is proud to celebrate and support LGBTQ+ communities across the lowermainland, Canada, and the world. This programming coincides with the Vancouver Pride Festival. Multi-genre spanning with grounding hip-hop influence. Float around for an hour with your host DJ Sam Skill to find new and old music spanning different genres, times, and places, with a grounding hip/hop influence. You might like where the music takes you. 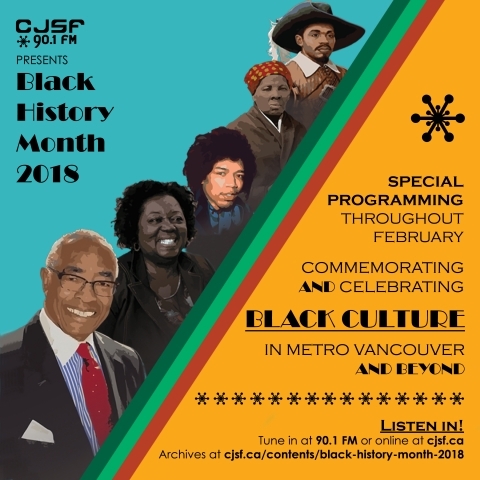 February 1st-28th, CJSF celebrates Black History Month with special programming. From interviews with famous activists to examinations of Vancouver and Burnaby's own Black histories, expect a mix of music, talk and interviews, including special episodes of regular programs like Speak Up! on CJSF 90.1FM Sunday 3-5am. Interviews with gifted artists. 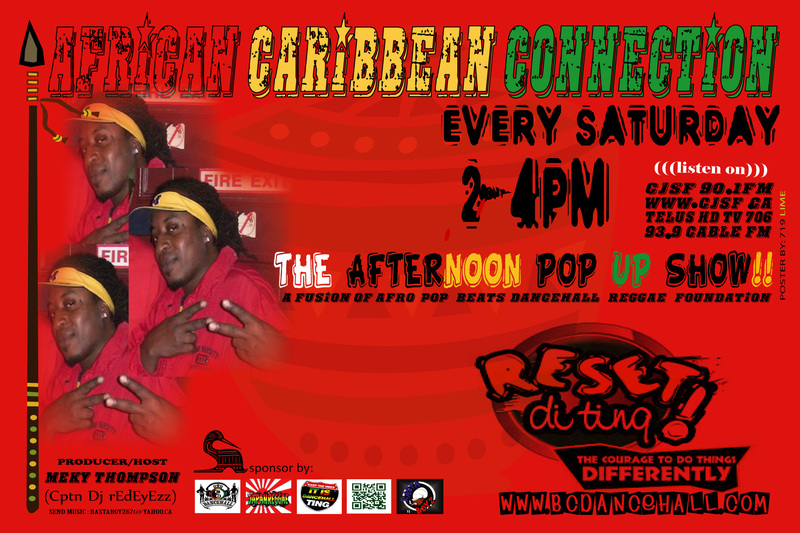 Spinning hip-hop, trip-hop, r&b, funk, neo-soul, roots, rock, reggae, jazz, chillwave / glo-fi, house, dubstep, and whatever else we can get our hands on - with an emphasis on the former. on CJSF 90.1FM Sunday 12-3am. on CJSF 90.1FM Saturday 2-4pm. on CJSF 90.1FM Tuesday 12-2am and Friday 8-10pm. on CJSF 90.1FM Wednesday 9pm-Thursday 12am. on CJSF 90.1FM Wednesday 6-8am and Friday 2-4am. Jen LeFranc showcases new and emerging artists in the genres of Roots, Americana, Blues, Soul, Rock.